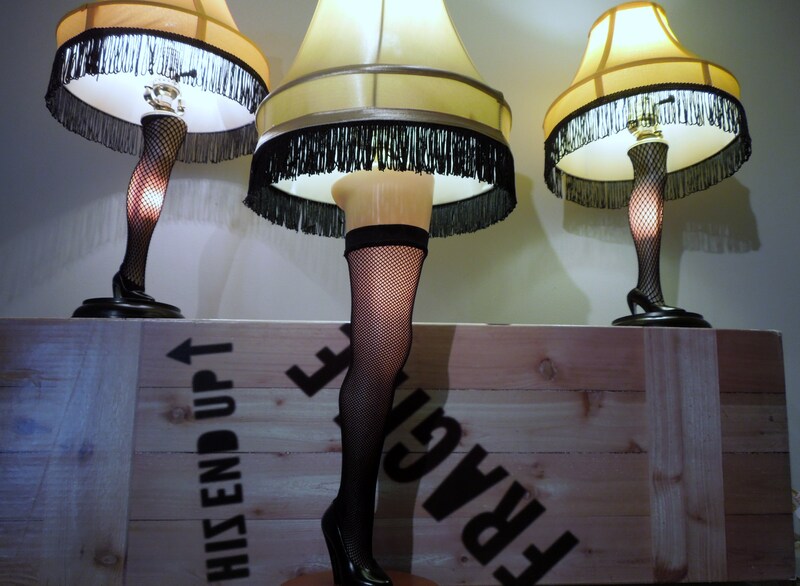 Merry Christmas with a Major Award! Every Christmas Eve, we return from our family gathering and I turn on TBS to catch part of their 24-hour marathon of “A Christmas Story.” It’s become tradition. I love this movie so much that my husband got me a small leg lamp for Christmas last year, but in Cleveland, I took it a step further and made a visit to the Christmas Story House and Museum where I gingerly held the “major award” in my hot little hands. After all, it is Fra-Geel-ay! A $10 guided tour gave us some behind-the-scenes facts about this iconic movie. For instance, Cleveland was never actually being scouted as a possible location for the movie, but Higbee’s department store agreed to keep their Christmas decorations and Santa village up through Spring and that fit the bill for the movie scouts who then discovered this old house on a street in the Tremont district of Cleveland which was owned by a steel worker who was more than happy to let them use his house for a tidy sum of cash. Most of the shots in Cleveland are exterior shots. In fact, when you go inside, you find that the layout of the house is nothing like the home you see in the movie. Actually, the house fell into disrepair until it was bought by a fan of the movie who rehabbed it and opened it for tours. The interior is decorated to look like the movie set, but nothing there is authentic. EXCEPT — the view out the front window. Whenever you see that angle in the movie, the shot was taken at the house in Cleveland. It was fun just the same. We had the chance to peek behind the desk in the living room where the Red Rider B-B gun was hidden Christmas morning. 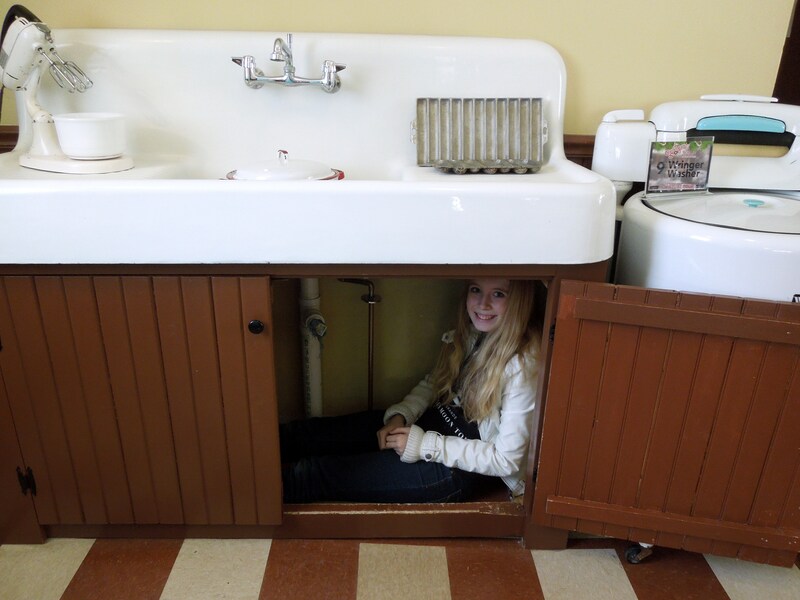 We got to tuck ourselves under the kitchen sink, which was roomy enough for adults, too. She’s no fool. She didn’t actually put it in her mouth. We learned lots of interesting facts about the movie, and thoroughly enjoyed our tour. Now, it’s Christmas Eve and I can watch the movie again, enjoying the fact that I was actually there! 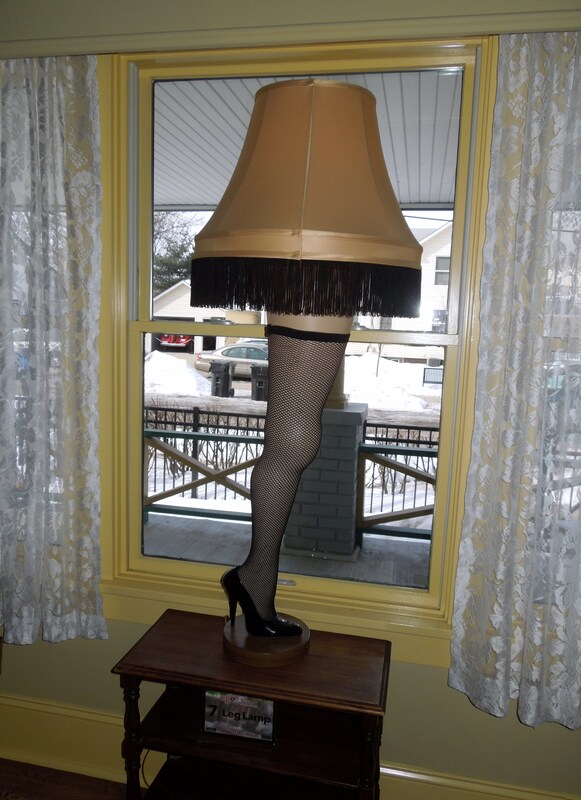 That was a Major Award in itself! *Google ‘A Christmas Story* Oh right! Looks a fun visit. Happy Christmas Juliann to you and the family. Like the cute ‘new’ photo! Merry Christmas, Juliann! 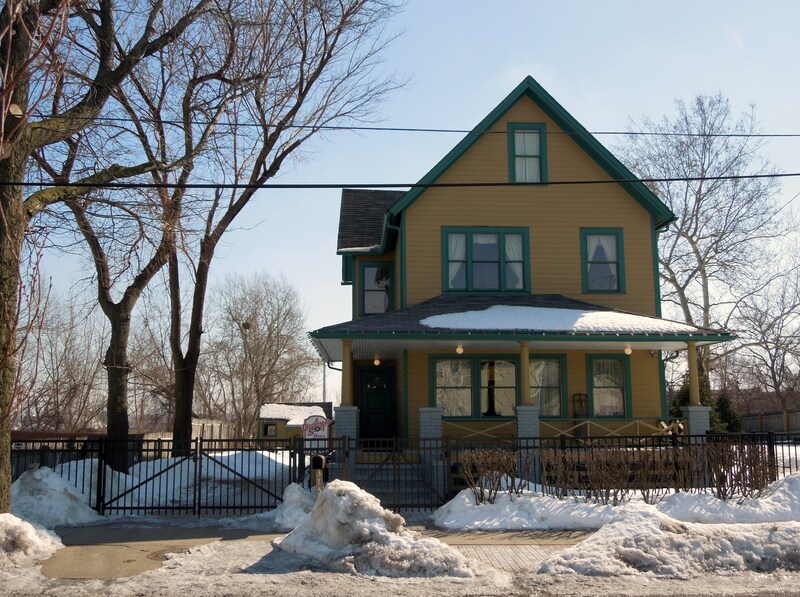 You lucky dog – you went to the Christmas Story House. I would love to do that … and it wouldn’t even take a double-dog dare. 🙂 Hope you have a fabulous New Year! LOL. I hope you do get to go. If you’re a fan of the movie, it’s a real treat to relive bits of it in the house. I hope you’re back now — better than ever! Loved this blog. This is so cool that you got to explore the house from A Christmas Story. I used to watch that movie every Christmas Eve with my cousins!! Also… I’m glad your daughter didn’t put that soap in her mouth, LOL! I still watch it every Christmas Eve. 🙂 I would be curious how the soap tastes — but not that curious! I never knew a Christmas Story was filmed in Cleveland. That’s a hilarious movie. Definitely worthy of a major award. I am learning more about things to do in Ohio reading your blog than when I used to live there. I had no idea that this existed – that is totally awesome! I have watched this movie SO many times, it is great to know you can visit! Definitely a fun visit. Especially around Chistmas time. This is a tradition in my family too! I’ve been wanting to visit the Christmas Story house for a while! Would love to take my Dad too – he would love it! How fun is that?! I need to rewatch the movie now. I’m so glad that a movie fan bought the house and fixed it up -even though it really wasn’t the interior in the movie. Always love that lamp too. A Christmas Story is my daughter Catherine’s favorite Christmas movie — and she would LOVE to take this guided tour. I will save this little piece of info — because if we ever get to Cleveland, we are definitely doing it. Lifebuoy soap!